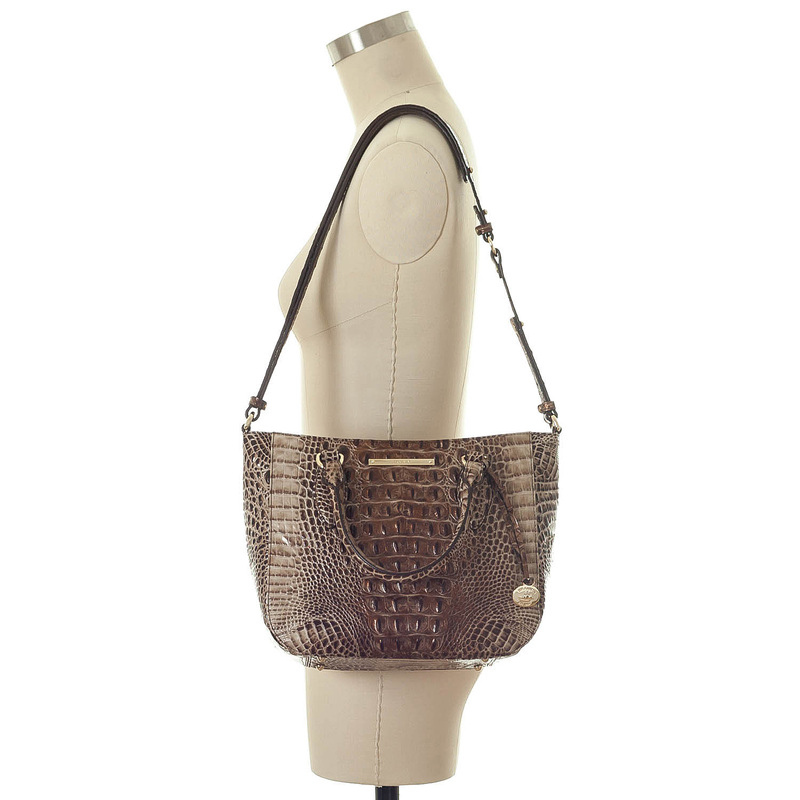 The small Lena is a nice size which I find equivalent to a Duxbury and the color Bark is a flattering warm neutral . I think there are two parts of the design that could be improved. The improvement would be the tab at the closed end of zipper. It could be a bit longer. When the purse is fully opened, I had to use two hands to zip it closed. The other improvement would be in the interior. The Small Lena is large enough to have two sections in the interior organizer pocket. The pocket is roomy, but objects put into it tend to get "lost" or disorganized and then difficult to find. Overall, I find the Small Lena attractive, roomy and a good functioning purse. Love this color Bark! 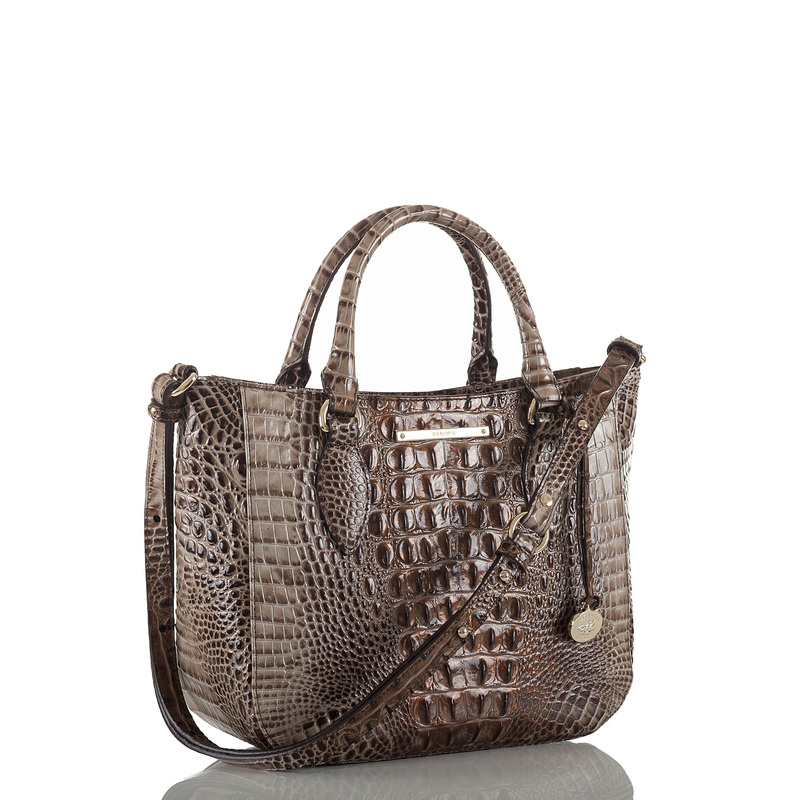 The small Lena is perfect for an everyday purse. Not too big and not too small. This will be my go to purse for shopping, etc. 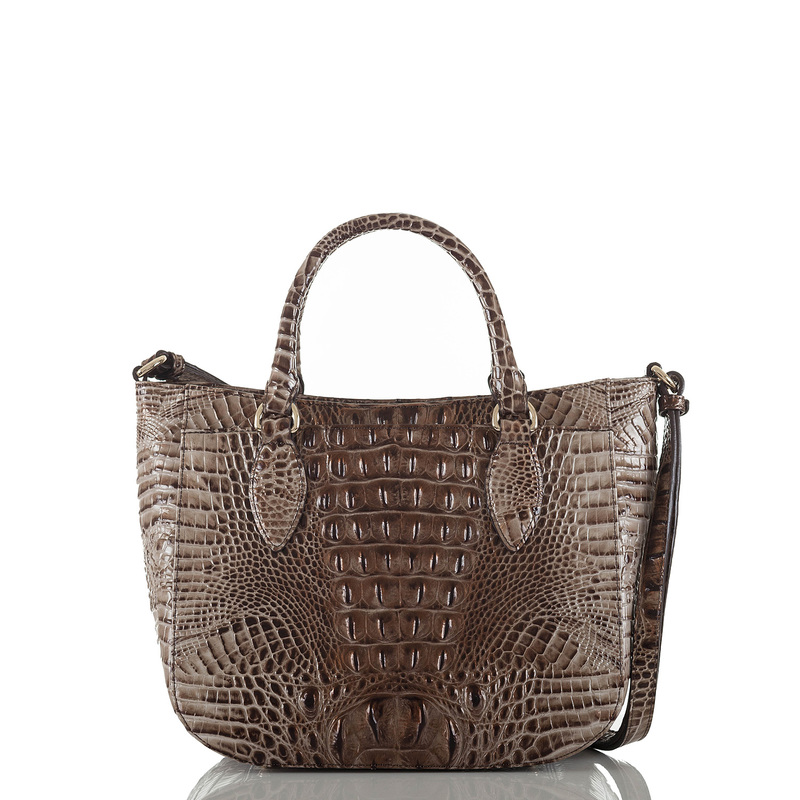 Brahmin is the best! While I'm always intrigued with the exciting new colors, I tend to stick to more basic selection for longevity and my personal style sense. The BARK color is perfect for me. 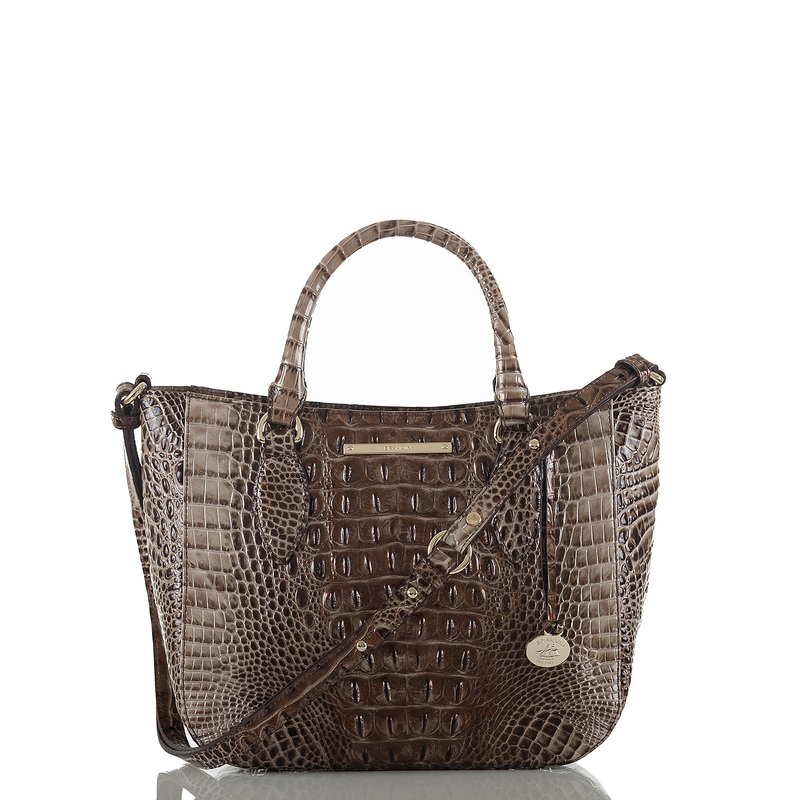 It is #4 purchase in my Brahmin collection. I still get compliments on my oldest deep red bag purchased in 2008. My only surprise was that while this is considered "small", it is more of a medium size to me and I'm 5'7".